It’s a sad site when kids are encouraged to use the ground as a trash can. Children learn from example. 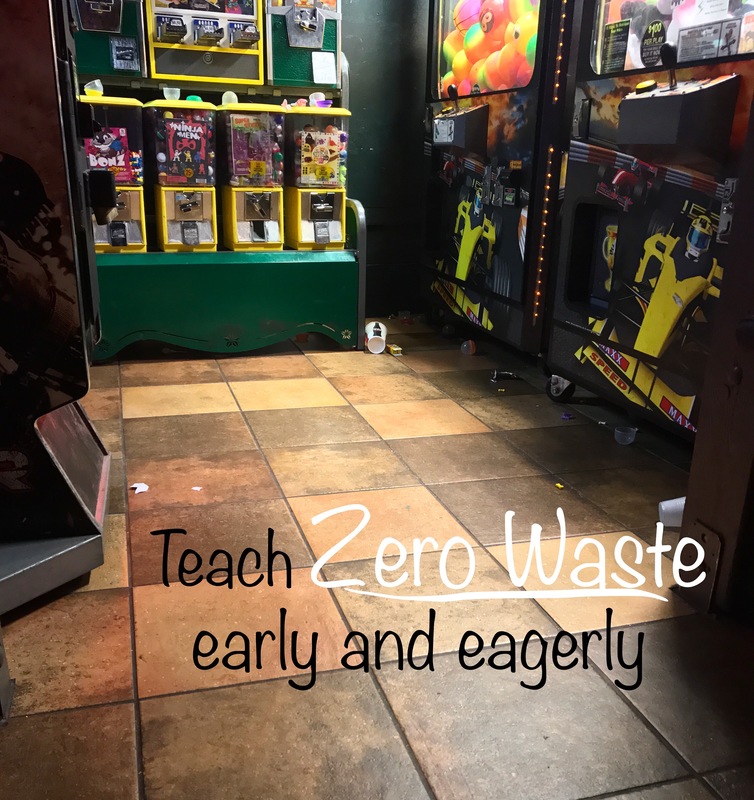 If they see the ones they look up to leaving cups on an arcade game, or toss a straw wrapper on the floor, it sends the message that it’s okay to litter. Inside, outside, littering is littering. Look at all the empty plastic cases that protected 50 cent pieces of junk, just left behind. It will be within our lifetime that the concept of “climate change refugees” become a reality. When an area becomes so hot, arid, stormy, or just gets wiped out, those residents will be forced to relocate. Where will they go? In our children’s lifetime, they will be fully responsible for all the damage previous generations have done to the environment. Teach them how to be sustainable now. If we can’t change the minds of the past, we can still educate the future.